One Two Three : chose the one you like ! 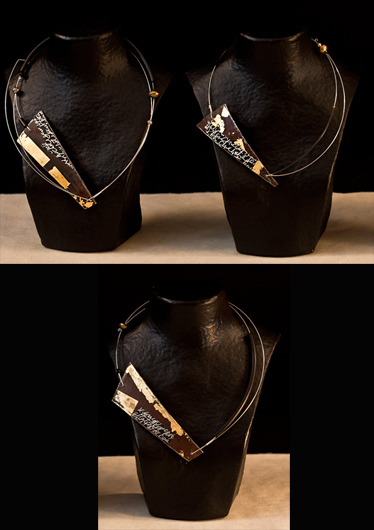 asymmetrical piece of oxidized iron patinated with gold leaf and calligraphy paper, african beads from Mali. Built on rubber and stainless steel wire.